Time and time again, we make up excuses for things we don’t want to put an effort into. There’s always an excuse for something and everything. And somewhere along the line, we start believing ourselves. Excuses and procrastination kill success. They hold us back from achieving our goals and dreams. They hold us back from learning and growing into successful individuals. 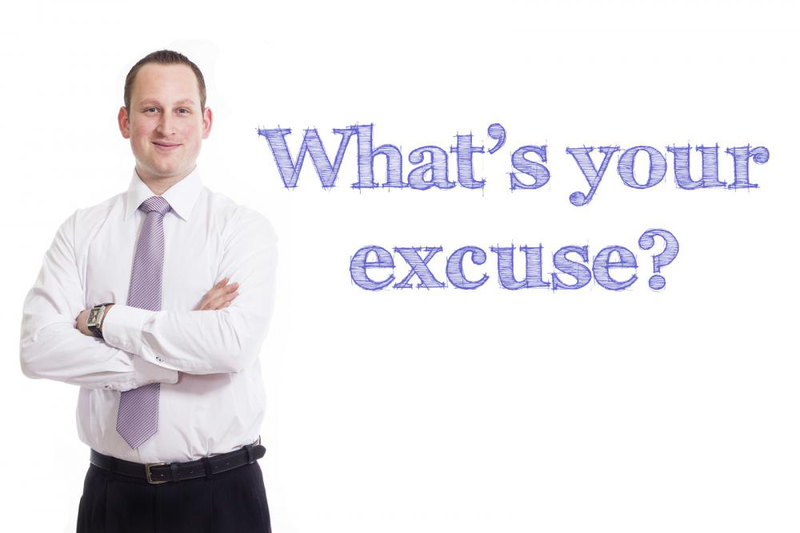 Excuses are easy to come up with but don’t do anything to help us succeed. We’ve created a mindset where we believe we’ll accomplish everything when we have time. The truth is, the time is right now. The time you waste is the time you will never get back. We all seem to tell ourselves the same thing again and again. We all share the same excuses. Are you making them, too? You don’t want to apply for that job because you feel you lack the experience. You don’t want to send in your resume because you believe you’ll be rejected. How do you know that? How do you know unless you try? Nobody is born with experience. We gain experience trying new things and taking risks. Bill Gates didn’t have experience building computers; Stephen King did not have experience publishing books before writing Carrie. That someday never seems to come. You sit at your desk dreaming about a better job but never take initiative. By taking initiative, you can carve mountains. Your ancestors did it. You can become successful, but you need perseverance and grit. You need to take risks and create a plan. Delegate your tasks. Create a list and prioritize accordingly. There will always be tasks coming up that will need attention, but don’t forget your original project. When you come into work, make sure to tackle all the complicated projects first. This way, whenever you have something come up unexpectedly, you’re ready. Stop making excuses today. Connect with Scott to learn more about how you can tackle challenges and find your true potential. As one of North America’s top motivational speakers and corporate keynote speaker , Scott Burrows has helped thousands of individuals in the corporate industry. Check out his book Vision Mindset Grit: How to Stand Up When Life Paralyzes You to learn more about ways to bring out the best in you. Posted in Never Give Up by Mike Pearhouse on June 12, 2018.